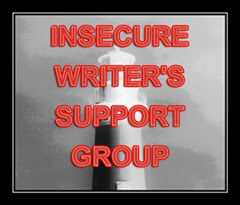 It's the first Wednesday of September and time for another installment of the Insecure Writer's Support Group, hosted by Ninja Captain Alex J. Cavanaugh. (He's got an epic announcement today, so be sure to check it out!) The aim of the group is to provide a safe haven where writers can share their doubts and insecurities without fear of appearing foolish or weak, and anyone is welcome to join. Today my topic is deadlines. In the last week, I have started a new job doing some editing for a company where tight deadlines are the order of the day - even with incentives offered for picking up jobs that are past their deadline. It helps you to manage the flow of work effectively, which I can see the benefit of. As writers, should we be sticking to deadlines as an integral part of our work? Do they help or hinder creativity? Maybe you have a publishing contract and are on a timescale for completing edits and revisions. These kinds of external deadlines can really help sharpen the mind. Should indie publishers set their own deadlines? I think so. To be successful, we have to think of ourselves as a mini publishing house - some of us even have our own imprints we publish under - and if we want to release work on a regular basis, having a plan in place goes some way towards that. We need to have a cover by this date, and have tour posts prepared by another date. We'll feel like we're getting things done. The flipside of the coin is when deadlines make us panic, especially when they're looming large. Some people really thrive under this pressure, but others will crumble. After all, it's hard to put a time limit on creativity. The book will take as long as it takes, and that will be different for every project. But at some point, you have to say enough is enough. A deadline can act as a sort of mental marker - after you hit it, you really should be onto something else. But the best part of a self-imposed deadline is that it's moveable. You can extend it if you really feel like something needs more time than you thought. Even though deadlines are a good thing, no one wants to put out work which is rushed and unfinished. My biggest goal this year was to write Part 3 of my trilogy. Even though I've had other achievements which I'm proud of, I haven't quite got round to this one yet, and now it's September with a deadline of the end of the year. I'll aim for it, but I'll try not to beat myself up if I don't hit it. Producing your best work has to come first. Are you a fan of deadlines? Hate them? How do they work for you? Don't forget to check out the other IWSG participants here. Hi Nick - so pleased on your new job ... and I'm sure it'll help even with the challenge of deadlines. Love and hate deadlines. Without them, I sometimes fritter time and end up having to rush things in the end. I do set them for myself, but I don't always adhere to them! I need the pressure of a deadline to finish anything. My own or my publisher's. I like a deadline for submitting to a contest or a market. When I set my own deadlines, I tend to not meet them as often as I'd like. I wanted my most recent ebook to be out way earlier than it was, but since it was a deadline of my own making, it wasn't too big a deal. I agree that deadlines sharpen the mind. I've always set a schedule. Not just for my writing, but for life in general. With four kids I've had to or nothing would ever get accomplished. Saying that, the hover of a deadline can also affect us negatively if we let it. For me, I've had to learn to give myself permission to miss a deadline and realize that I'm human. Life gets in the way. Things happen that are out of my control. I still struggle with that last one. I used to work well under deadline when I was still out in the workforce. But now, not so much. Luckily, I'm a strong self-motivator and don't procrastinate, so I usually get done what I want to get done without stressing myself out too much. Good luck with your new job and writing that part III, Nick. Your new job sounds interesting! Best of luck with it! I am not a writer, but I try to set deadlines on other things I'm working on, otherwise I can be a bit of a procrastinator. I do realize though that there are always those surprises of life that catch us so sometimes we do just have to go with the flow. I do better with weekly word count goals. When it comes to the overall publishing deadline (and I DO think we should set them), that is held hostage by my busy life as a working mom. Sometimes I can't make a deadline no matter how hard I try. It's one of the reasons I self-publish. Deadlines are hard especially when you're like me and want tons of time to meet them. My goal going forward is to kill the comma (my addiction). Just kidding. I'm still going to use too many and in the wrong places. That's your job to kill them. I love deadlines. They make me more creative and fill me with a huge amount of motivation! I always work well with deadlines but not ones I set for myself. I agree with you that we need them. The only deadlines I have are the ones I make for myself, and I need them to stay on track. Otherwise, I won't meet my goals. I like deadlines, but I'm also realistic. Sometimes I just can't make them. However, they serve as great guides and I get much more done if the calendar pops up and says, 10 DAYS to finish those edits. :-) Thanks, Google Calendar. You have just used a devil word. Evil. Pure evil. Deadlines make me want to rip my hair out. If I can ignore them, I do because like I said, E-V-I-L. Without a deadline I would never get anything done. But it is nice to know some things can be pushed out when others are more important. I consider deadlines as goals I want to achieve. Then I have to be my own cheerleader; What do you want? Success! When do you want it? Now! From experience I know that if I didn't use these tactics my motivation would go right out the window - ha! Definitely a fan of deadlines. Every year in Mid - Nov I think - gee I must start getting ready to decorate for Christmas. I'll start early and won't be stressed this year. Dec 20th I'm in a state of panic because the deadline is right there. I'm always hearing conflicting things about deadlines. Half the time people are saying they're necessary for motivation. The other half, they're just distractions. I guess whether they work depends on the person. Deadlines are good for me. I thrive under the pressure. I'm under one right now. I'm not really a fan of deadlines, but I appreciate that they get me to get stuff done. Congrats on the new job! I start one in two weeks. My self-made deadlines ensure that I write two or three drafts a year. Real deadlines used to fill me with panic, but not so much anymore. I work on them right away. Deadlines panic me and I will completely shut down. It's one reason I don't do NaNo. I can write the amount of words in a day easily, but the deadline gets to me. I have to disguise deadlines as goals and to-do lists. I don't often set dates, but I like crossing it off and that drives me to work. I like goal type deadlines. If I miss one, I make a new goal and try to make a better strategy for reaching it. I don't beat myself up over missing my self-set goals. However, I do have deadlines that I can't break and I have produced a huge amount of work under pressure in the past, so although they can be stressful, I think hard deadlines can be useful, too. I'm definitely a fan of deadlines. They really help me to focus. I think it depends on the deadline. Is it so close that you're going to have to scramble to get it done? Is it so far in the future that you'll put off doing anything because you have "plenty of time"? It can be a good motivational tool so long as it's a reasonable deadline. Nick, I have a few self imposed deadlines. But if I have to give myself more time I do. So I guess you can call these soft deadlines. I like to give myself deadlines, since it's far too easy for me to slack off otherwise! I've been really bad at meeting most of them for at least a year now, though. *shameface* Been trying to get back into the habit, but it's hard. I work better under pressure, but I also find I'm not good at keeping self-imposed deadlines, because I know no one else is waiting on that thing. Good luck getting Part 3 done! I have set-in-stone deadlines in my contracts. I absolutely think you should set those deadlines for your own books. It really does make a difference!